The German Jewish community is the world’s fastest growing Jewish community. Many of the Jews who arrived in Germany over the last 25 years are living in over 100 local communities throughout the country. The Jewish community of Germany is characterized by a high percentage of non-involvement in community life and an absence of Jewish traditions in families. 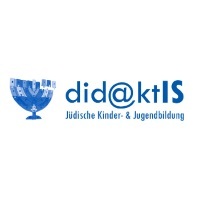 DidaktIS, the project implementer, is a non-profit organization in Germany that works to strengthen the fields of Jewish formal education and informal education in Germany through the development of educational materials and provision of training courses for educators. DidaktIS is also putting significant focus on facilitating communication and networking among the 100-130 Jewish Studies and Hebrew teachers in Germany who are scattered throughout the country. To that end, the project is creating an online platform where educators can to meet one another virtually, exchange ideas and experiences, discuss teaching methodologies and share their perspectives on the local needs – within their own communities – with regard to Jewish education. The virtual platform will also compile, revise and distribute Jewish educational materials currently used in schools in Germany and maintain a database for pedagogic materials (developed by local teachers and project staff) used for teaching Hebrew and Jewish Studies, together with ‘instructions for use.’ Educational materials developed by the project will be published and distributed once a year. Another project component is the implementation of six 3-day seminars over the course of two years for local Jewish studies teachers. Each of the seminars will focus on a different topic, though all will have a major teacher training component. The seminars will host both local and Israeli lecturers, while the teacher training curriculum will be under the auspices of the Head of the Educational Department of the Jewish Community of Munich and Upper Bavaria. The Pincus Fund for Jewish Education recognizes the Jewish formal education needs in Germany and is pleased to be supporting training and in-service learning opportunities for the country’s Jewish educators. Teacher training and the development of the Jewish teacher are among the Pincus Fund priorities for support, as they reach out to a broad and growing number of end users every year.